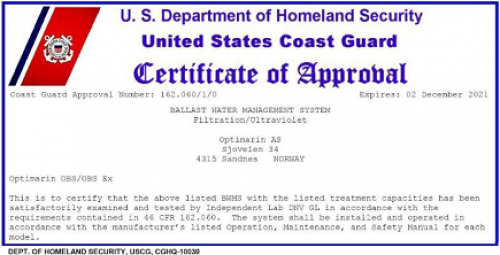 The Coast Guard Marine Safety Center issued the first U.S. Coast Guard Ballast Water Management System Type Approval Certificate to Optimarin AS. This system included our BOLLFILTER automatic type 6.18.3 filter. 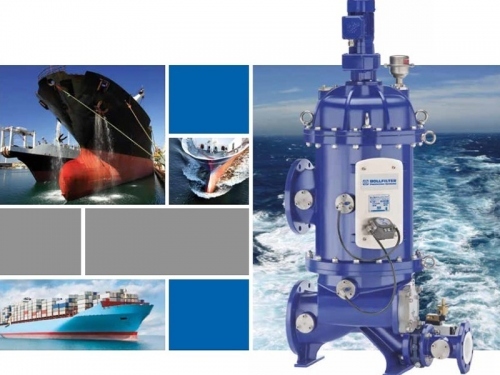 The seawater filter for ballast water only demands a small installation area, which increases its suitability for use in new constructions and for retrofitting. It’s simple and robust construction makes it extremely maintenance-friendly and durable. The core of the filter is the filter element, which due to the specially developed backflushing device, enables extremely effective and quick cleaning without interrupting the filtration process. Here you will find useful information, including the advantages of the 6.18.3 and a short animation on how the unit works.